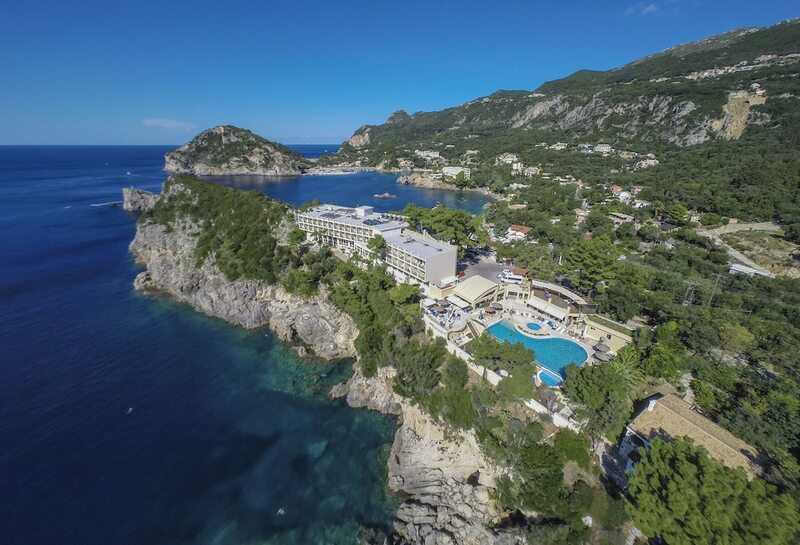 With a stay at Akrotiri Beach in Corfu, you'll be on the beach, within a 10-minute drive of Paleokastritsa Beach and Paleokastritsa Monastery. This 4-star hotel is 9.4 mi (15.2 km) from Dassia Beach and 10.6 mi (17.1 km) from Ipsos Beach. Stay in one of 125 guestrooms featuring LED televisions. Rooms have private balconies. Complimentary wireless Internet access keeps you connected, and satellite programming is available for your entertainment. Private bathrooms with shower/tub combinations feature complimentary toiletries and hair dryers. Grab a bite to eat at one of the hotel's many dining establishments, which include 2 restaurants and 2 coffee shops/cafés. Relax with a refreshing drink at one of the 2 bars/lounges.